It’s almost end of summer and I am sure everyone is looking forward to the Labor Day weekend and probably the last BBQ party ever. When it comes to closing the season with a bang, I have this perfect and the most amazing grilled Honey Cajun Shrimp recipe ever, ones that everyone will go gaga for, I promise. 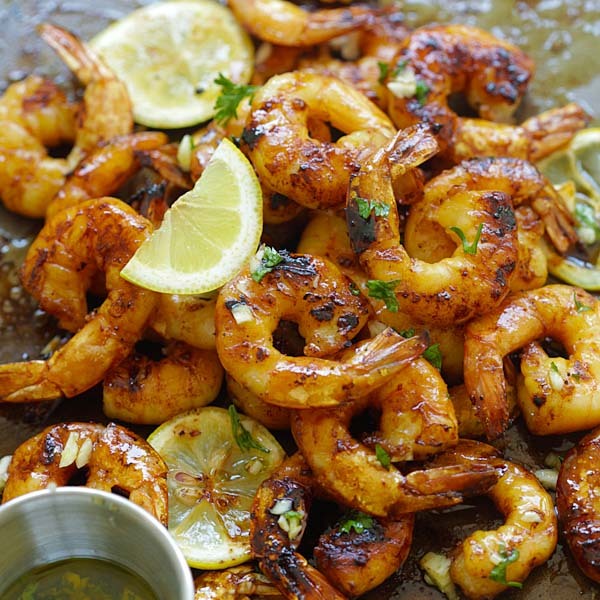 These grilled Honey Cajun Shrimp offers explosive flavors: sweet, sticky, savory, with a nice lemony tang, plus subtle heat and aromas from the Cajun seasonings. I am sure you can tell from the pictures here, this is THE grilled shrimp recipe that you’ve been waiting for! The sweetest thing about this recipe is the simple ingredients: honey, bottled Cajun seasonings and shrimp. You may opt for shell-on shrimp or peeled, deveined shrimp with tails on. Grill them on your outdoor grill for best results. 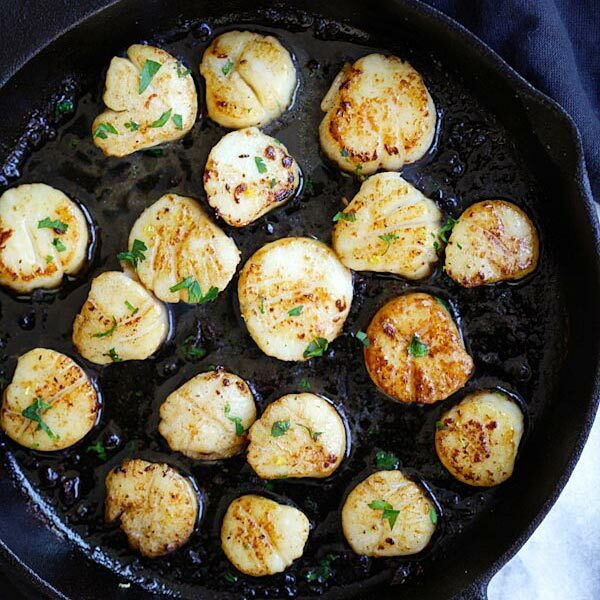 If you don’t have a grill, fret not, you can make this on an indoor grill pan, in the oven, or even just saute using a pan or skillet. 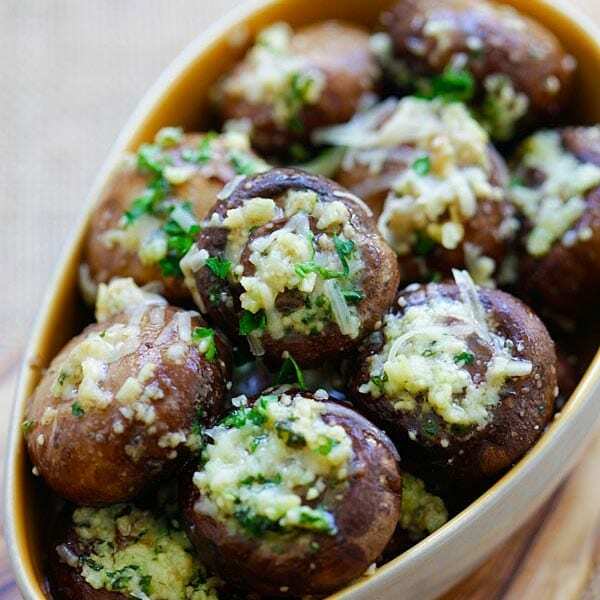 This is an all-year long recipe that you can enjoy anytime! Grilled Honey Cajun Shrimp – amazing grilled shrimp with honey cajun seasonings. Sweet, spicy, the best and easiest cajun shrimp ever. Rinse the shrimp, pat dry with paper towels. 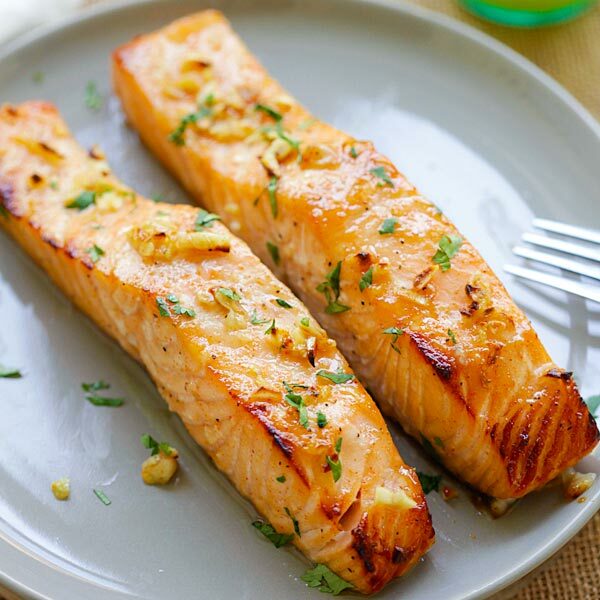 In a bowl, mix the melted butter, honey, lemon juice, Cajun seasonings and salt together. Stir to mix well. Prepare the optional Dipping Sauce by mixing all the ingredients together. Set aside. Combine the shrimp and honey mixture together, stir to coat well. Fire up an outdoor grill and grill with direct fire on both surface until they turn slightly charred and transfer to the top section to cook completely. Transfer to a serving platter and serve with the Dipping Sauce. All photos and recipes on Rasa Malaysia are copyright protected. Please do not use the photos and recipes without prior written permission. If you wish to republish this recipe, please rewrite the recipe in your own words instead of copy and paste and link back to //rasamalaysia.com/grilled-honey-cajun-shrimp/. Thank you very much! I dearly love your recipes. There’s not any recipes I’ve tried I didn’t love. Thank you so very much for sharing.